Gaku Murata began playing guitar at the age of fourteen. His diverse range of influences includes guitarists Wes Montgomery and Slash. Educated at the prestigious Berklee College of Music (B.M. 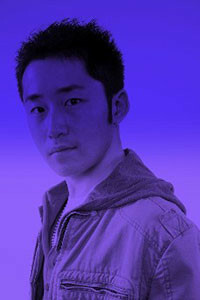 in Performance and Songwriting, Berklee Songwriting Achievement Award in 2003), Gaku has developed into a multi-genre, tour-de-force guitarist, arranger, and composer. An experienced sideman, he has also performed frequently in the U.S. as the leader of the Gaku Murata Quartet. Gaku has also appeared as both guitarist and music director on TV and radio shows such as Fox Providence (The Rhode Show), Comcast (CN8 – Backstage with Barry Nolan), and WICN Public Radio. Gaku Murata has released three CD’s; “No Is What I Say”, “Standards”, and “Journey Through the Night”.